Many new users to SeneGence’s principal cosmetic LipSense have experienced what has, until now, been termed “the exfoliation phase”. Two reasons so many experience a period of time in which their lips struggle to become healthy enough to support longer wear times using LipSense are fairly common ones. ONE – Very few people, even those in developed countries, fail to properly maintain the hydration necessary for the delicate skin that envelopes our beautiful face holes. TWO – Some even accelerate the decline of lip health with waxes that prevent hydration or the natural loss of skin cells that slough off during the day. #1 – Did you know that many of us suffer from chronic dehydration? Nature provides the necessary moisture from our saliva and the foods/liquids we consume to keep these gorgeous vermilion borders and their fleshy innards, nice and well hydrated. Yet, many of us take this process for granted and fail to ensure our own optimal level of hydration. You can download this graphic without our logo and add your own HERE! 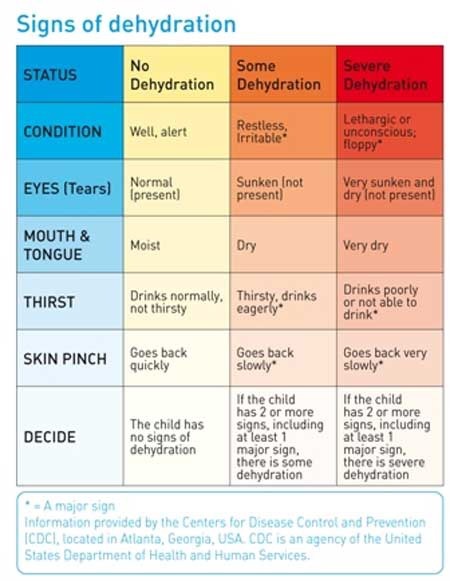 Are you dehydrated right now? Is your saliva sticky or slick? When did you last have a sip of water? Do you keep a glass or bottle by your side throughout the day? Lightly pinch your skin throughout the day, does it fall back into place relatively quickly? LipSense functions by using denatured, cosmetic-grade alcohol to gently and quickly deliver a series of pigments/micas in layers over the lips. A specialized gloss then seals the acrylates found in these pigments in place to create a barrier or second skin. The gloss is considered specialized as it is mostly comprised of a high concentration of synthetic beeswax. Read more about the ingredients and mechanisms at play in the LipSense color here. #2 – The type of wax found in your lip cosmetics matter! Synthetic beeswax in an interesting substance in our gloss that allows for mutual permeability (moisture in and out through the lips). One reason why SeneGence promotes itself as having a “wax free” lip color (technically true as the wax isn’t found within the color but applied later using the gloss to enhance and seal the color while also promoting healthy and hydrated lips, sneaky!) is to highlight a prominent difference in its formulation to the majority of its large competitors. Many use some form of beeswax or other sealants that often, prevents permeability. Meaning, these substances coat the lips in wax preventing them from receiving the hydration found in say drinking a glass of water. Read more about the ingredients and mechanism at play in the LipSense gloss here. Interested in learning more about waxes in everyday lip cosmetics? Click here! This is why, upon initial application, many lip products leave the lips feeling silky soft, that is until they wear off leaving the user feeling the effects of the hydration denied to their lips over the past couple of hours. Much like cheap hair conditioner! This forces the user to apply and reapply, all while accelerating the damage the delicate skin that resides on the lips. Clearly, some are better than others, yet what makes SeneGence’s lip product truly unique is its two step application. One depositing the color via alcohol evaporation. The other by applying a moisture-promoting, synthetic wax and a high concentration of Shea butter and other natural substances that aid in the health and beauty of human lips. This two step process allows for greater control of the color applied and allows the user to apply as much Gloss as they see fit without the constant addition of acrylates or alcohol. Common competitors in the field of long-lasting cosmetics formulate their products into one container, reducing the extremely costly square footage they require in your local convenience store while also cutting production and shipping costs. All of which is really no big deal assuming the ingredients used in these products are not cumulatively harmful to the body. A concern which is heightened by the continuous need for reapplication. One huge issue I have commonly found in videos and reviews of others using LipSense for the first time is the mention of a burning sensation on their lips caused by the alcohol in the color. Dehydrated lips will have small cracks exposing the immense number of nerve endings found on the lips that aid in acts of eating, kissing, drinking, etc. These cracks will respond to contact with alcohol much in the same way any wounded portion of your skin would. It will burn and can hurt fairly badly. Your lips are damaged from the build up of wax on your skin put their by the use of x, y, and z inferior products and thus your lips are now shedding the wax and unhealthy layer of skin cells creating flaking and reducing the wear time/efficacy of LipSense. This is quickly followed in the comments section by an onslaught of angry customers, as they feel this speech sounds truly ridiculous. Can cosmetics really deposit wax onto the lips that lasts for days, weeks, and months after their application to create said build up? Until my recent dive into the depths of primary literature sources, I was unsure. But the answer is now clear. No, they do not. Inferior (let’s define this, as I don’t want to imply that a product not created by SeneGence is immediately inferior, let’s define “inferior” as products containing impermeable wax, or beeswax, or other substances that can or could, in fact, create long term damage to the lips by preventing the natural cycle of skin shedding and hydration via proper hydration) products can truly damage your lips but this is not the result of long-term wax deposition. Okay, so the exfoliation phase is officially out. Let’s talk about what is really happening to your lips. 1️⃣ Let’s assume you’re one of the 70-75% of women in a developed country who has not maintained perfect hydration every day for a period of one month or more. 2️⃣ Let’s also say, you’ve damaged your lips further by sealing them with some form of impermeable wax preventing them from coming in contact with the little bits of water, soda, and/or wine/beer you are consuming. Yes, when you apply LipSense (an alcohol-accelerated pigmentation deposit product that results in incredibly long wear time) you will, 100%, feel a burn ranging from a tingle to holy-crap-my-lips-are-melting-off-my-face depending on the severity of your lip damage/dehydration. Remember, this product sits upon your lips in the form of an acrylamide layer. It adheres strongly to the skin cells on your lips (providing long wear times). Therefore, if you have less than optimal lip health, you’re really going to notice it while wearing LipSense. You will, in this case, 100% experience flaking, cracking, etc. as the product was designed to allow dual permeability and prevent further dehydration by coating the lips in an impermeable wax. You will feel every little cell as it sloughs off as it is attached to the acrylamide layer. But, if long wear times, waterproof coverage, and healthier lips are really all that important to you, your lip health will improve if you stick with applying the gloss at night and caring for your body. Contact your local Distributor if you need more help! They’ve all been through this little transition phase themselves and can provide even more guidance on the matter. Think of nail polish… I know it isn’t particularly savory or socially-acceptable to refer to SeneGence’s LipSense product as “nail polish for your face hole” but the statement is fairly accurate. Both nail polish and LipSense are comprised of acrylates that form layers of mechanically-bonded substances to protect or enhance their respective portions of the body. Obviously, nail polish was designed for the keratinous and scale-like growths on the ends of our hands and feet. Synonymously, LipSense was specifically designed to do mechanically bond in acrylate layers to protect/enhance human lips. Fun fact: Believe it or not, the protein that most abundantly comprises our nails, Keratin, is the same protein found in our skin (and hair for that matter). Really, it shouldn’t be a big deal to promote LipSense as nail polish for your face hole, but women feel that it implies that dangerous, rigid, and flaky chemicals are being applied right to our lips, ripe for digestion. None of the ingredients that comprise LipSense have been scientifically found to have any acute or cumulative toxicant properties when applied correctly. If you drank 15-20 tubes (at $25 a tube, that’s one heck of an expensive cocktail) of LipSense, you will most definitely experience extreme bouts of vomiting, diarrhea, and will have damaged portions of the skin along the larynx and within your stomach. So… just don’t drink it okay? Drink wine or beer like a normal human being, responsibly, okay? So yes, it functions just like nail polish. If you have damaged, flaking, or otherwise compromised nails you too will experience flaking and decreased wear time with your nail color. Let’s please stop using the phrase “exfoliation phase”. Our consumer base has spoken and they find the logic of the argument preposterous. It provided a simple explanation at the time, but now that we have the research to prove it, let’s avoid this misinformation from spreading any further. Share this blog post with your fan base if you’d like to clear up any misinformation you have unintentionally provided. They will understand. Drink sufficient amounts of water. Let’s make it a priority of ours to have beautiful, healthy lips with or without LipSense (audible gasps) but use LipSense as it was intended. As a beautiful accentuation of our lovely face holes. Ask your customer base to avoid anything abrasive (sugar scrubs, exfoliating face wash, etc.) to the lips prior to application. Using gentle lip scrubs can promote lip health and regeneration via the stimulation of blood flow and removal of dead skin cells. Ask your client base to drink a glass of water before applying their color. It’s a healthy alternative and will minimize any burning they feel upon their first couple of weeks of application. Please, encourage customers to buy 2 glosses with every 1 color. I know it sounds like a scam for profits but honestly, our most incredible product is, in my opinion, the gloss. They should apply it in the morning, go exercise or plan their goals for the day, drink a glass of water, and apply their color. Remove it at night with a gentle brown sugar lip scrub they can DIY. Then, apply their gloss one more time before bed. Truthfully, their lips will become healthy and more plump by the end of the week. Ask them to take before and after photos so they can fully appreciate their incredible lip transformation. Never, ever peel your lips when/if they flake. Especially while wearing LipSense as it will damage the bejesus out of your lips. If the flaking is annoying you, just use a gentle lip scrub, apply Gloss, and reapply the color when you have a few minutes. Your need to reapply will decrease to once per day as the health of your lips improve. I very much and inexplicably/unapologetically enjoy the phrase “face hole”. Alright! Let’s delete all of our “exfoliation phase” graphics and set a whole new, honest explanation for what customers of LipSense are experiencing. Conquer on! Thank you for this highly anticipated explanation. Finally, we have answers. This makes a lot of sense! I really appreciate the time and research you spent on this article. It left me feeling better educated and better equipped to help my customers! I was under the impression that LipSense does not cause an “exfoliation process” but that our lips naturally shed, more than the rest of our skin. If someone is wearing a lot of beeswax products, some of the dead skin cells and wax can create a thin buildup (sure it wears off so it’s never 1/2 inch thick). This thin buildup is partly what makes LipSense not able to bind properly with the top layer of skin cells/hairs. After no longer using those wax products, that thin waxy/dead cell layers no longer form. Is all of this incorrect? I 100% believe that hydration is a huge factor as well! Thank you so much, to be honest I was as a distributor weary of the ‘exfoliation phase’ explanation, as it didn’t quite make sense, and embarrassingly now, rather than fully questioning it, I went along with the theory, but didn’t ever make a huge deal of it, I just said LipSense helps your lips continue its natural process of shedding skin cells… However, I am so glad for this article, because I hate not giving true and correct information and feel silly for having done so in my own lack of listening to my gut and further investigating! You guys are awesome! Great info – thank you!!!! Reblogged this on color my lips. I just read this very interesting article & thank you for the information to explain the issue from a scientific POV. I did share the article to my LipSense FB page a closed group. Then I noticed in the sidebar above w info about this group, it appears I was supposed to request peisdion by filling out a Google form, which I didn’t do, plus tried to click on link & it didn’t work. I hope I haven’t broken some group rule. Please advise me. If necessary, I will delete the shared post but I do feel it helps to have the info where clients can find answers that sound more official than my telling them not to worry. You’re fine! The google form is for asking questions. Thank you so much for this and your many other informative articles – always a great resource. I agree that the idea of getting rid of wax build up needs to go… inaccurate and reduces our credibility for sure! Perhaps I’m misunderstanding the idea behind changing what WE call this to customers. Are you thinking we should just change it because there is so much misinformation… start with a clean slate? Or perhaps because it’s just restoring a natural process, we shouldn’t call it a phase..? I just wanted to clarify because it seems like the article didn’t really touch on the idea that you really are exfoliating, as you should, when you stop using those other products. Reblogged this on Lip Perfect Laura . Can drinking a glass of water really hydrate you and your lips that quickly? Mine doesn’t stay on too long. (Been a distributor over a year). I’m assuming it’s hydration and too much Diet Coke. Hi!! Thank you so much for this. I am a distributor and have a question. I experienced extreme dryness the first two weeks of using lipsense. I told myself it was the exfoliation period. And I believed it because two weeks after it totally went away. I have been using lipsense without any issues now for two months. I did not increase my water intake, I always drink a lot of water. So if it was t the water intake changing then how do I explain whatever process happened???? I’m sorry but I couldn’t even make it through this article – constantly referring to the lips and mouth as a “face hole” made the writer lose all credibility. Stop trying to make “face hole” happen, Gretchen! Thank you for posting this informative article! I hear a lot of Lipsense people saying that you need to only wear Lipsense or your lips will go through that exfoliation process all over again. It sounds to me that we just need to keep our lips healthy. Do you think it’s best for lips to only use Lipsense or is it possible to maintain healthy lips switching between products?